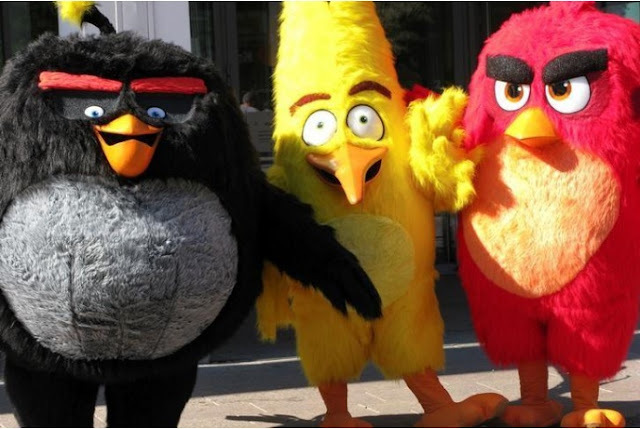 FILE PHOTO: Angry Birds characters Bomb, Chuck and Red are pictured during the premiere in Helsinki, Finland, May 11, 2016. HELSINKI - Finnish mobile games and animation studio Rovio Entertainment Ltd is considering to list its shares in Helsinki, bourse operator Nasdaq said on Tuesday. Nasdaq did not give further details, but said Rovio was due to hold a press conference later on Tuesday. Rovio is 70 percent owned by Kaj Hed, the uncle of company co-founder Niklas Hed. Other investors include venture firms Accel Partners and Atomico.